Supporting startups in clean technology through engagement and research. Greentown Labs -- Boston, Mass. LACI -- L.A. Cleantech Incubator – Los Angeles, Calif.
“Established energy players, including utilities and technology companies, are seeking greater engagement with emerging innovations in technology and business models -- meanwhile, startups need access to key industry players to better understand the unique challenges and opportunities of the electricity industry. This partnership creates an avenue to better connect both ends of the energy spectrum,” said Matt DaPrato, director of product strategy at GTM Research. “Our mission is to support our portfolio companies and the wider clean energy community in the transition to 100 percent renewable energy. We are excited to be joining the GTM Research’s Trailblazers to further our engagement with global leaders in energy and cleantech, and work together to change the world,” said Ramsay Siegal, head of partnerships and pipeline at Elemental Excelerator. As a provider of research on the electricity market, GTM Research delivers market-leading expertise in utility technology deployment strategies, technology profiles, and the impact of regulation on electricity markets. The Grid Edge research practice has evolved around the burgeoning nexus of technologies and business models between the distribution grid and electricity customer -- a concept that the organization has referred to as "grid edge" since 2013. “Distributed energy resources (DERs) are becoming more active and prevalent on the grid. DERs are forcing utilities to change how they plan, operate and maintain their infrastructure as the distribution grid becomes a more critical and valuable part of the energy landscape. To address these challenges and capture new value, traditional players are looking internally and externally for new capabilities and opportunities. 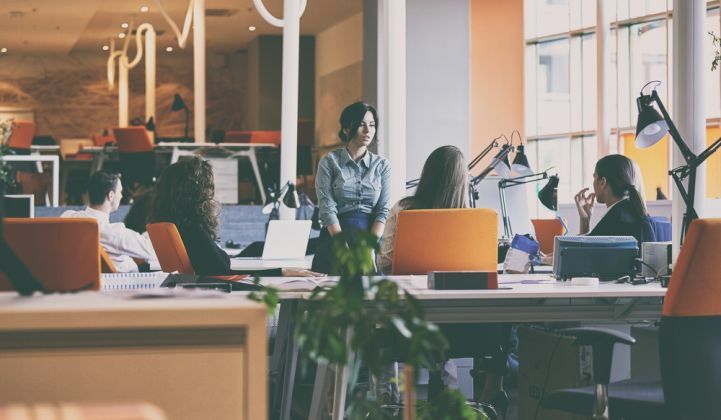 This has increased interest in startup and specialized firms that have developed expertise and assets to overcome complexities via new niche applications, processes and capabilities,” said Ben Kellison, director of grid research at GTM Research. Building a network of experts and innovators has been a key element of GTM Research’s practice -- as much as building its comprehensive in-house expertise and data services on the distributed energy marketplace. GTM Research has long fostered community and engagement through its Grid Edge Executive Council, a program for the electricity industry leaders. “As a platform for connecting with forward-thinking industry leaders, Trailblazers is a natural extension of our efforts to create a community that includes actors at all levels of the energy industry and to support them with the best market intelligence available,” DaPrato said. Find out more about GTM Research here.